If you ever got salt and pepper mixed up, you know it’s a lost cause to try and separate them. 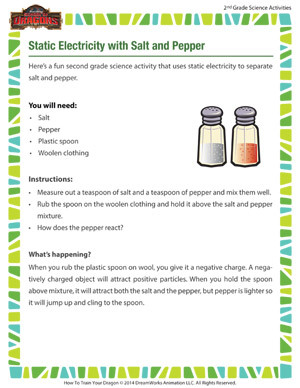 Now let static electricity do the job for you – this fun science activity shows you how. For more 2nd grade science activities and printables, visit the School of Dragons.